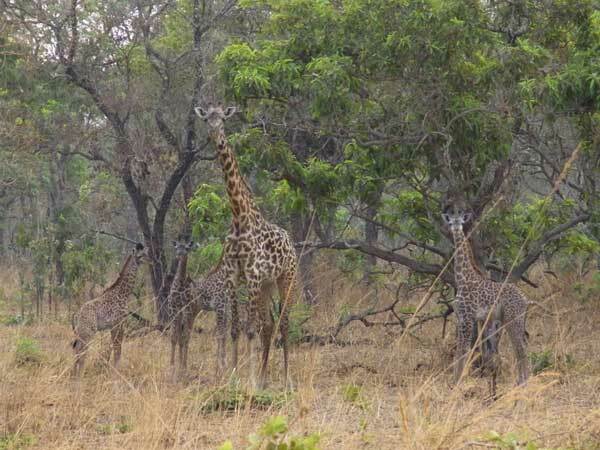 I conducted the socio-ecological research about giraffe (giraffe camelopardalis) from June to October, 2010 at the Katavi National Park, Tanzania. I got to identify each individual giraffe by marking pattern on its neck. I also recorded the size, gender and age of the herd. Then, I followed calf of giraffe to conduct 1 minute interval scan sampling. Before doing 1 minute interval scan sampling, the behavior pattern was classified into 13 categories. 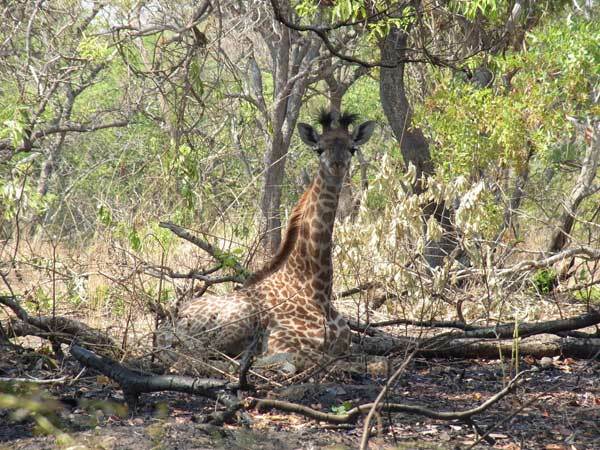 Social interactions between a calf and other giraffes were recorded on all-occurrence. Each point where giraffe were found was marked by GPS. The social organization of giraffe is generally described as fission/fusion society, with the animals moving around with no tight bonds (coe,1967; Dagg&Foster,1976; Estes,1991; Kingdon,1997). The results suggest, however, that mother giraffes tend to form a herd with other cows which had calf. Concerning social behavior, I often found social behaviors between calf and juvenile giraffes. I will analyze in details regarding giraffe's behavior and social interactions later on. A juvenile giraffe at the Katavi National Park.